The Holiday Season is the best time to surprise your guests with an outstanding Christmas dinner from the Big Green Egg, or to go all out with a great main dish, the showpiece of the evening. 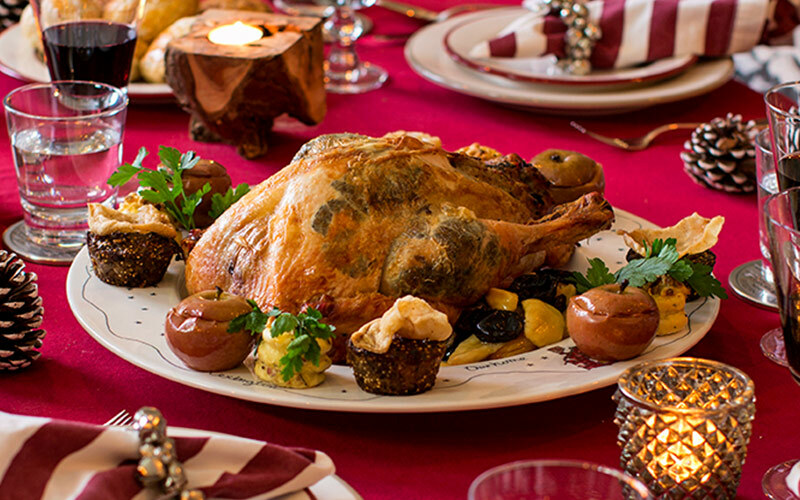 How about a classic stuffed turkey, cedar-wood-smoked salmon, beautiful rib of veal, exotic duck breast or lamb shoulder with mushrooms and truffle? Success is guaranteed with these five Christmas recipes from the Big Green Egg! Stuffed turkey is a Christmas classic! The turkey is stuffed with, among other things, chanterelles, pork mince, garlic, thyme and rosemary. If you really want to go all out with this, be sure to serve a number of side dishes as well, such as roasted winter vegetables, roasted star apples and Duchess potatoes. Take a look at the stuffed turkey recipe, or the stuffed turkey recipe including various side-dishes. uickly and simply serve an excellent smoked salmon main dish prepared in the Big Green Egg. 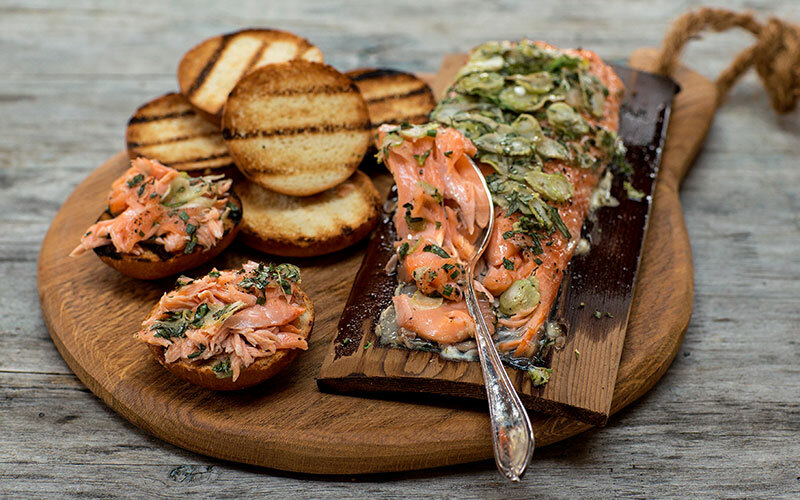 The cedar-wood plank adds a subtle flavour to the salmon. Do not forget to leave the salmon to soak in the fridge in a mixture of salt and spices for two hours before cooking. In this recipe for cedar-wood smoked salmon, the salt brine is enriched with orange peels, peppercorns and fresh thyme. Complete this Christmas recipe with grilled brioche rolls! Prepare the cedar-wood smoked salmon in the Big Green Egg. Enjoy a glass of bubbly together around the Big Green Egg while savouring the aroma of a beautiful roasting rib of veal. What better way to start the evening! A good thermometer will tell you exactly when the meat is done so you don’t have to worry about it. You could serve the rib of veal with green beans rolled in bacon, stuffed mushrooms, scalloped potatoes and date sauce. Take a look at the rib of veal recipe prepared in the Big Green Egg. 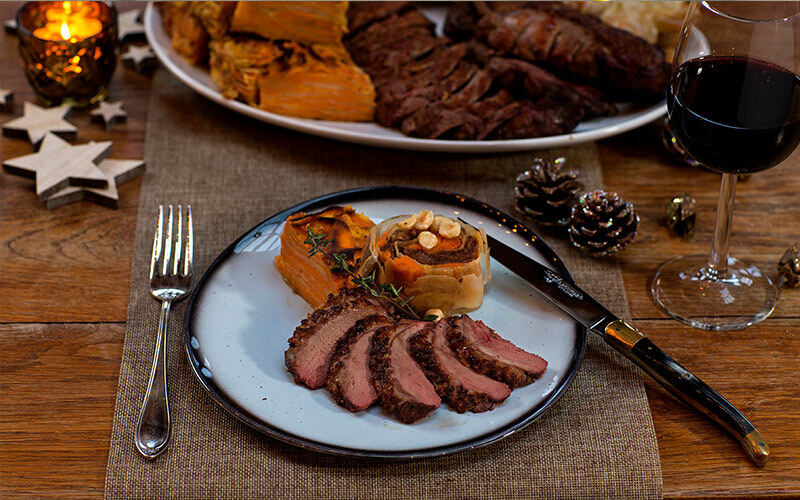 Duck breast will add a touch of exoticism to Christmas dinner. Prepare the duck breast on the Big Green Egg to make it extra tender and give it a subtle smoky flavour. Your table will be filled with all sorts of delicious goodies if you combine it with the savoury strudel and scalloped celeriac and sweet potatoes. Proceed to the duck breast recipe. 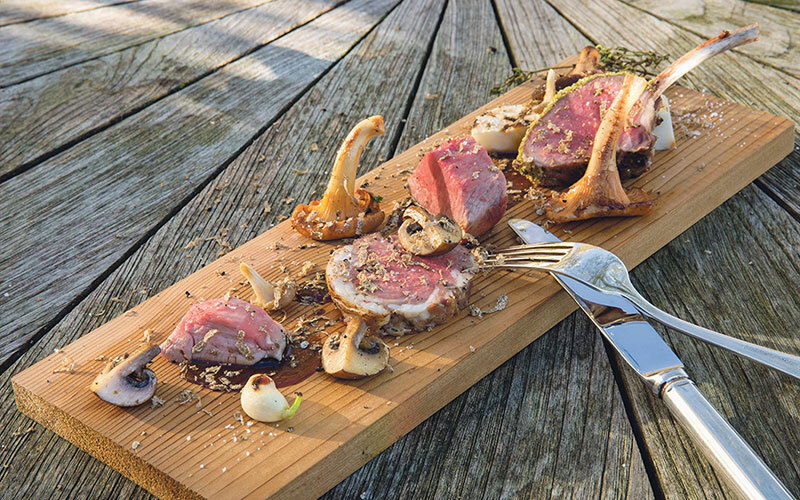 This lamb shoulder recipe is created by SVH Master Chef René Brienen. Within his area of expertise, he is considered among the top chefs of the Netherlands. His restaurant ‘Brienen aan de Maas,’ where young lamb from the Big Green Egg is regularly served, was awarded a Michelin star. 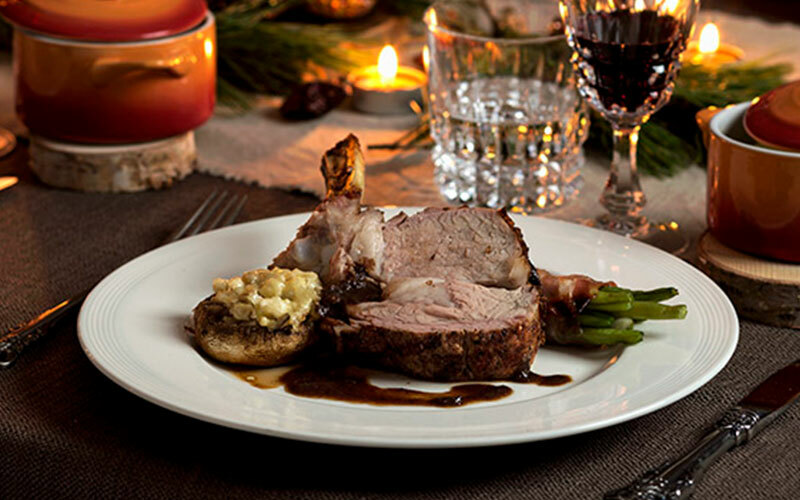 Prepare this lamb shoulder recipe by René Brienen on your own EGG over Christmas and enjoy it together with friends and family! View René Brienen’s lamb shoulder recipe. Are you still looking for dessert recipes, starters or vegetarian dishes for your Christmas dinner? If so, browse the extensive recipe database.